With an attendance rate of over 30,000 people and the participation of more than 40 exhibitors, not to mention the cultural programme which typically features well over 50 events in book presentations, book launches, poetry readings and meetings with authors, the Malta Book Festival is unarguably one of the most important dates in the cultural calendar of the island. There is certainly no other book event in Malta that goes even close to the range of literary genre representation and public reach of this Festival. The Malta Book Festival is held at what used to be the old hospital, the Sacra Infermeria of the Knights of St John, now the Mediterranean Conference Centre, in the first and second week of November. It evolved from the Malta Book Fair, which was first held in 1979, into a festival that celebrates the book culture and seeks to represent the book in its entirety – not just as any object of consumption but as something that involves the reader beyond the confines of the book. For this reason, the cultural programme of the Festival features a wealth of activities, including dramatisations of literary texts, discussions and conferences on literary themes, and expert readings of passages from novels or poetry. Among the many participants in the Festival, visitors will encounter practically all the publishers, authors and literary agents active on the island. Recently, the international flavour of the Festival has come to the fore with the inclusion of foreign participants, including foreign publishing houses, bookshops, libraries and foreign authors. 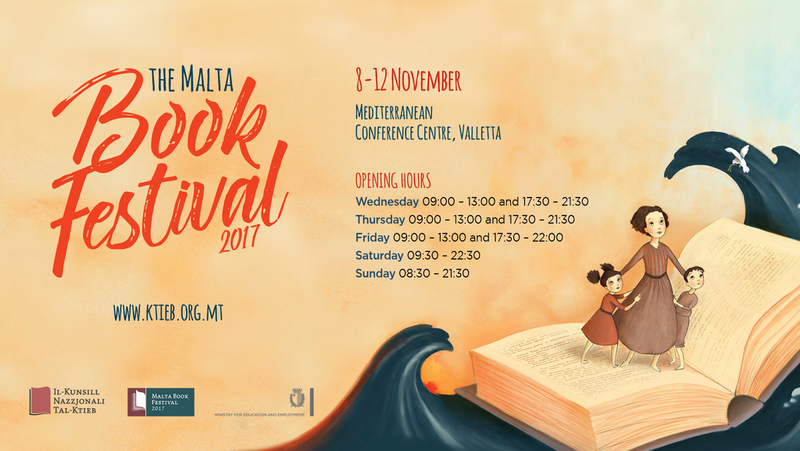 A must for all bookworms, book lovers, and culturally-minded individuals, the Malta Book Festival is open to all members of the public free of charge and with a cultural programme especially designed to meet the interests of people from all walks of life.